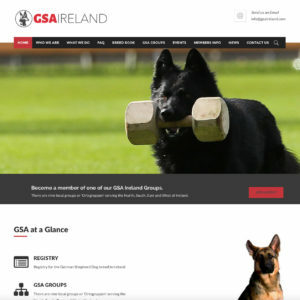 Website for Guide Dogs organisation that has lots of events. 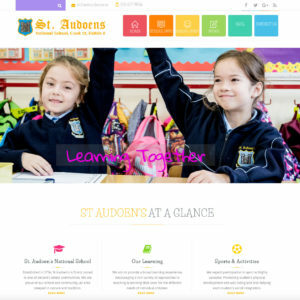 Redesign of St Audoens National School website. 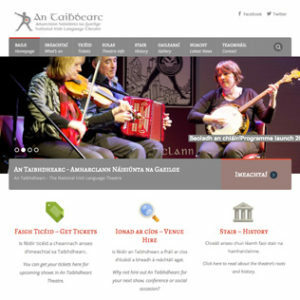 Redesign of bilingual website for Seachtain na Gaeilge. 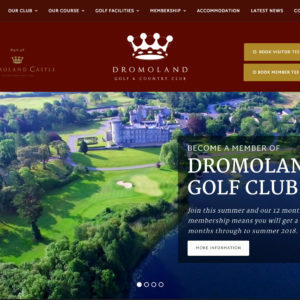 Clean & professional website to showcase the history and grandeur or Dromoland Golf & Country Club. 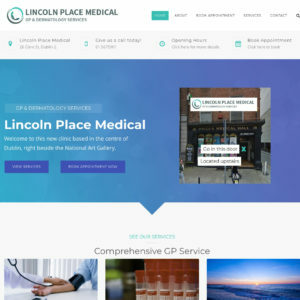 Wordpress website created for busy GP Clinic in Portmarnock. 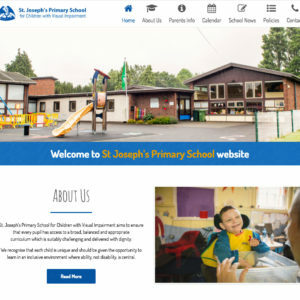 Accessible website for St. Josephs Primary School for Children with Visual Impairment. 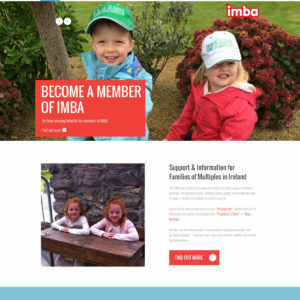 Membership based website for the Irish Multiple Births Association. 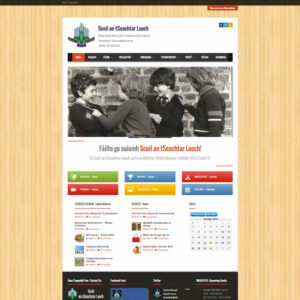 Website for UniYoga Dublin, a yoga studio. 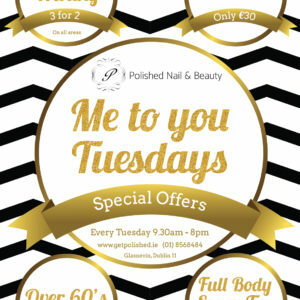 Eye-catching special offers poster for new Beauty Salon. 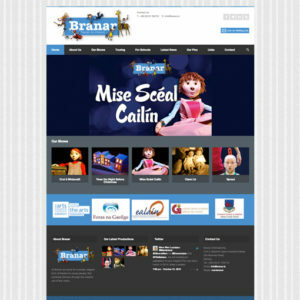 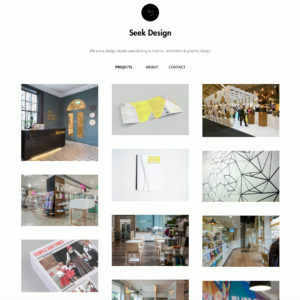 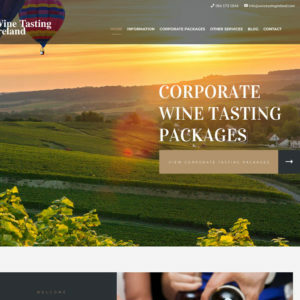 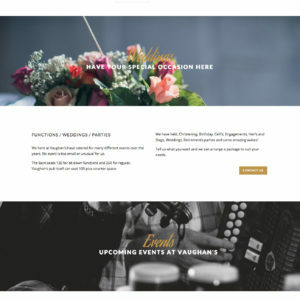 Simple & elegant website for successful design studio in Dublin. 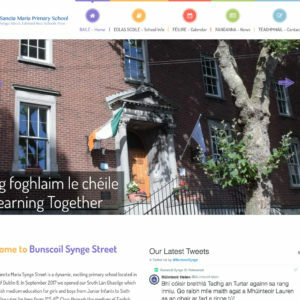 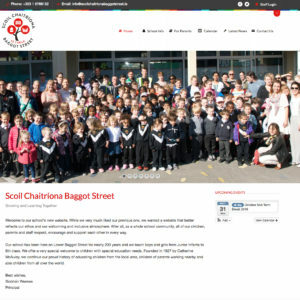 Website for school on Baggot Street. 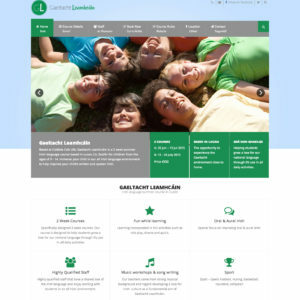 Logo for the Parish of St Luke the Evangelist. 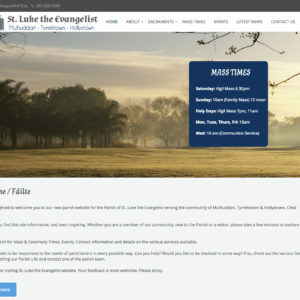 Website for Parish of St. Luke the Evangelist. 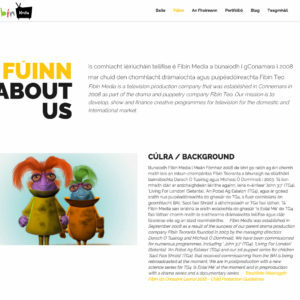 Portfolio website for bilingual media company. 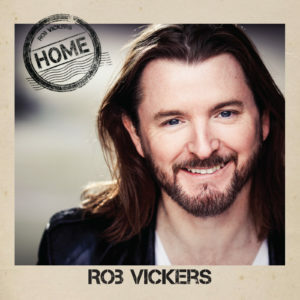 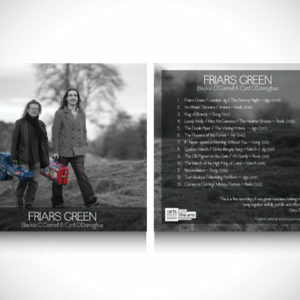 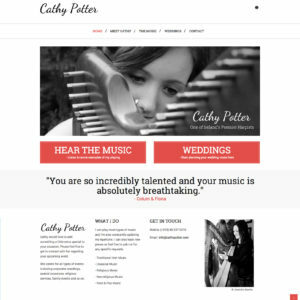 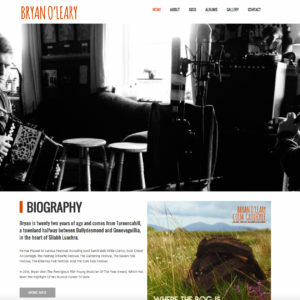 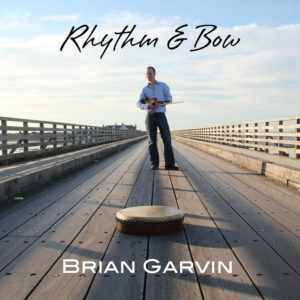 Website for Traditional Irish Musician. 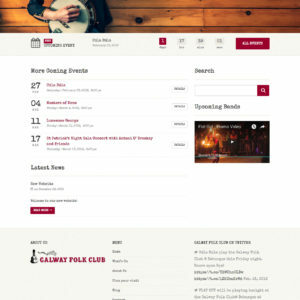 The Galway Folk Club needed a website to showcase their events around Galway. 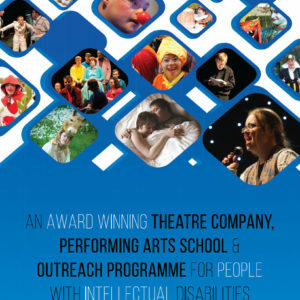 Stand up banner designed for Blue Teapot Theatre Company to showcase themselves at different events. 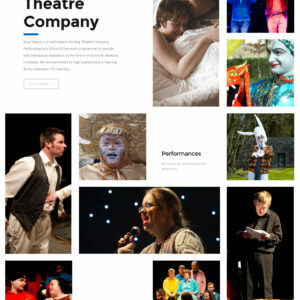 Quirky website created for Blue Teapot, a multi-award winning Theatre Company, Performing Arts School & Outreach programme for people with intellectual disabilities at the forefront of arts & disability in Ireland. 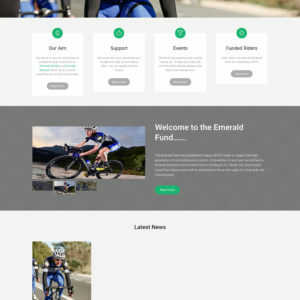 I created a logo for Emerald Fund, an organisation that aims to raise funds & support up and coming cyclists in Ireland. 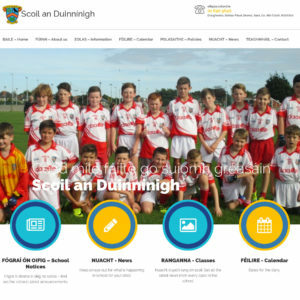 Sports website to raise funds & support up and coming cyclists in Ireland. 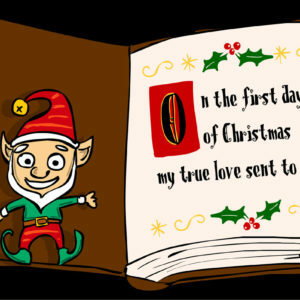 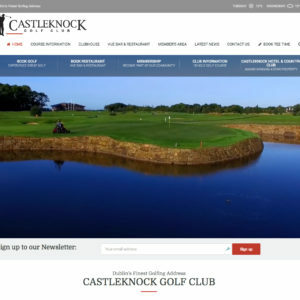 The website integrates with Paypal to allow donations. 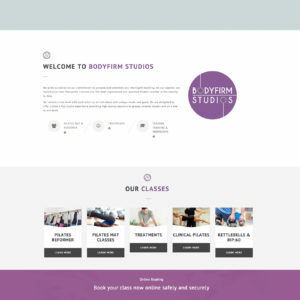 Pilates & fitness studio in Dublin that incorporates online booking. 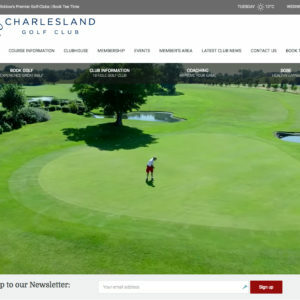 Special offers can also be purchased on the website. 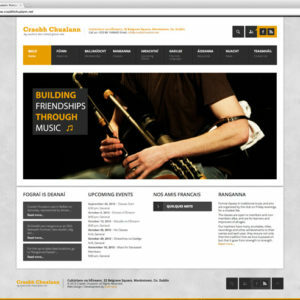 The website integrates the popular booking engine Mindbody. 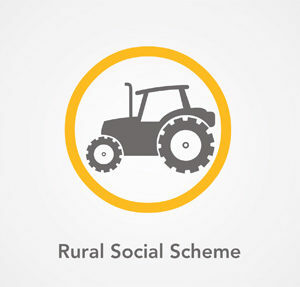 High resolution infographic animation to introduce SICAP, the social inclusion and community activation programme. 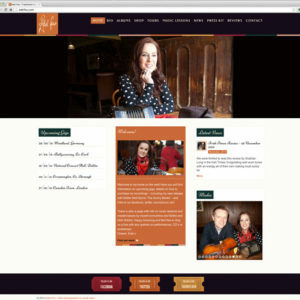 Bar & Restaurant based in North Clare. 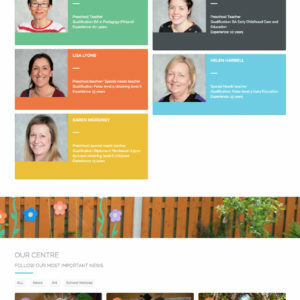 Website for early learning centre based in North Dublin. 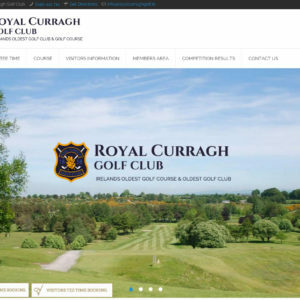 Website for Golf Club based in County Kildare that includes hidden members area. 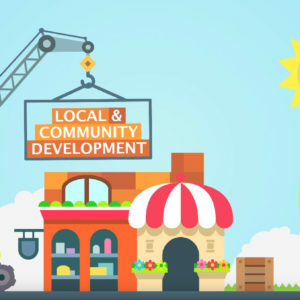 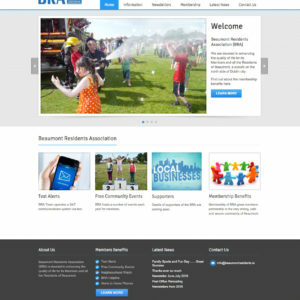 Website for a residents association in Dublin. 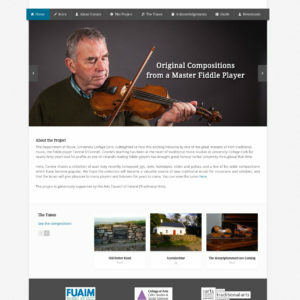 Website showcasing a collection of over sixty recently composed jigs, reels, hornpipes, slides and polkas composed by Connie O'Connell. 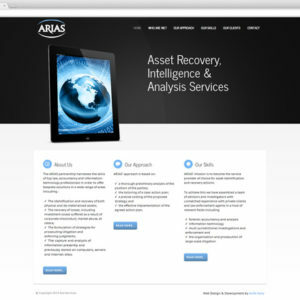 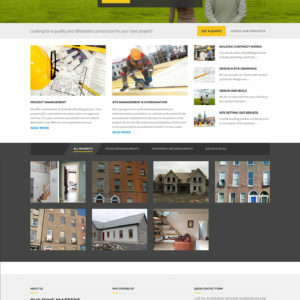 Website for construction company to showcase their work. 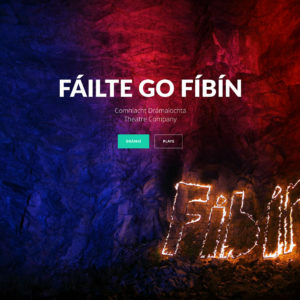 Logo designed for Lishmar Connemara Ponies that could be used across many different platforms. 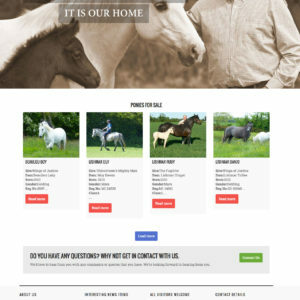 Wordpress responsive website created for Lishmar Connemara Ponies. 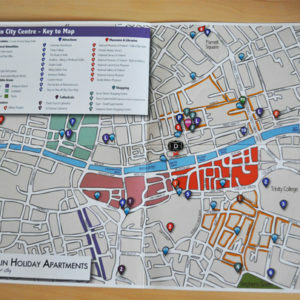 Design of the logo for Physiotherapy & Acupuncture clinic in Belfast. 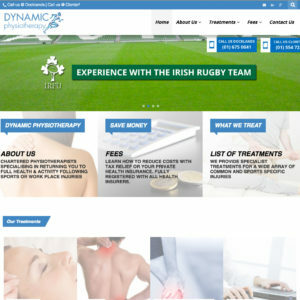 Website for physiotherapy clinic in Dublin. 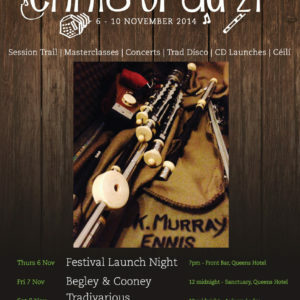 Design of the logo for the Ennis Trad 21 Festival in Co. Clare. 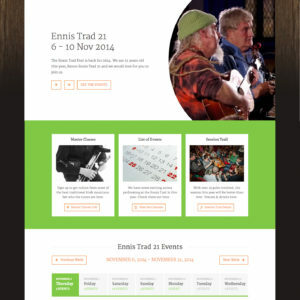 Events based website for Ennis Trad 21, the Ennis Trad Fest for 2014 & 2015. 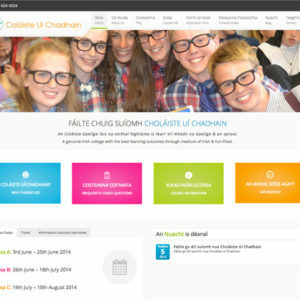 Website for Gaeltacht Leamhcáin, a 2 week summer Irish language course based in Lucan, Co. Dublin for children from the ages of 9 - 14. 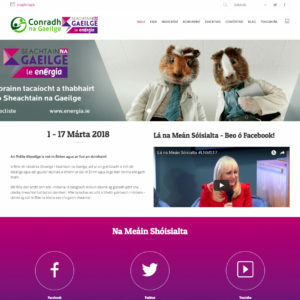 Logo design for Gaeltacht Leamhcáin. 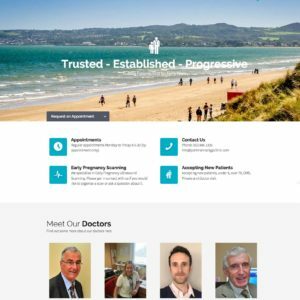 Website for fertility clinic in Dublin. 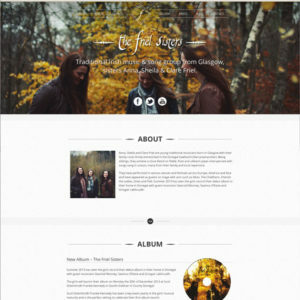 Traditional Irish music & song group from Glasgow, sisters Anna, Sheila & Clare Friel. 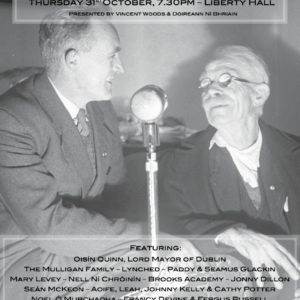 Poster for Féile na Samhna, a fundraiser for The National Folklore Collection. 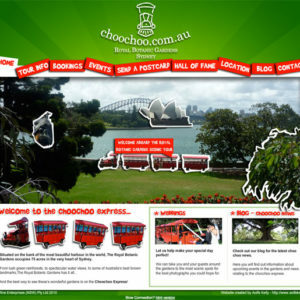 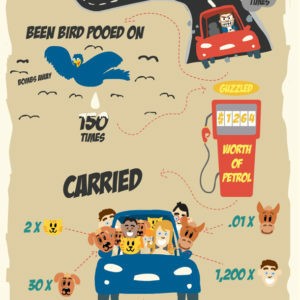 Infographic for car company in Australia.